Octavia Sperati took shape in Bergen, Norway in 2000, basically as a result of new friendships and common musical preferences. Sharing a general interest in heavy metal, the girls met through the local metal scene, where they so far had been compelled to enjoy the music from outside the stage lights, as spectators and not performers. Getting to know each other, and getting along really well, they decided form their own band, and Octavia was born. 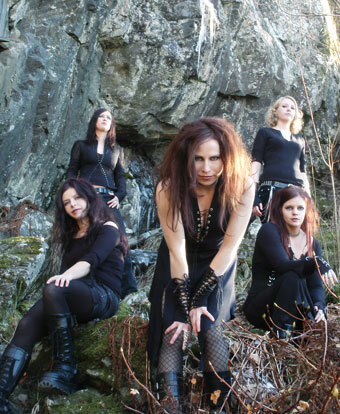 The first line-up consisted of Silje Wergeland (vocals, synth), Trine C. Johansen (bass), Bodil Myklebust (guitars) and Gyri Losnegaard (guitars). Shortly after, drummer Silje Røyseth joined the band. In 2001, Silje met Tone Midtgaard and invited her to replace her on keys, completing the line-up which (with the exception of a Spinal Tap-ish trail of past drummers) equals the band as we know it today. When drummer Silje left the band after only a year, the girls persuaded Hege Larsen from local tundra rock band Östblokk to join forces with them. With a brand new line-up Octavia was honoured to support Enslaved at the release of their Monumension album in Bergen in 2001. During the next couple of years Octavia played several gigs in Norway, including major festivals like Hole in the Sky, 1001 Watt (Skien), Ride This Train (Bergen), Rjukan Rock (Rjukan), Slottsfjellfestivalen (Tønsberg), Lost Weekend festival (Askøy) and the Elements of Metal festival (Sandefjord). In 2002 Octavia Sperati released a self-financed, low budget 5-track demo "Guilty", and in October 2003 they entered studio again starting the recordings of songs included on Winter Enclosure. This time they used Earshot studio with producers Herbrand Larsen and Arve Isdal (Enslaved, Audrey Horne). The promotional recordings payed off, as the song Lifelines of Depths was included as one of the tracks on Music Export Norway's first-ever metal compilation CD together with tunes from bands such as Audiopain, Einherjer, Enslaved, Red Harvest and Zyklon among others. Now things started going for Octavia. In early 2004 Octavia was one of 50 promising Norwegian bands performing at the by:Larm conference, which is Scandinavias largest happening in music trading and network building. In March the same year Octavia recorded the first Lifelines of Depths music video, a practically none-budget production executed by local film makers Juan Cruz Pacin, Christian Caro and Gianfranco Zicarelli. This video ran on Metal Svisj, Norwegian channel NRK2's metal video program, for almost 6 months. Late 2004 Octavia signed a record deal with Candlelight Records, home to some of Norway’s best metal bands. 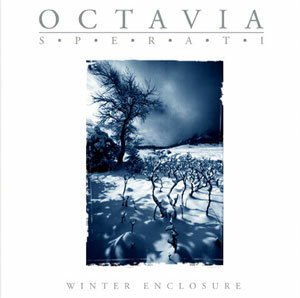 In December 2004, Octavia entered Earshot studios once more to finish off the recordings of Winter Enclosure which would result in their debut album. Rounding off the eventful year 2004, drummer Hege Larsen left the band, and the remaining members immediately started looking for a new drummer. The fifth year in the history of Octavia started with a second recording session in producer 'Pytten' Hundvin's studio Grieghallen studio (Hall of Grieg), where the grand piano and remaining guitar tracks were added to the production. At the same time Octavia was accompanied by another local drummer, Kristoffer 'Kikken' Risbakk Vegsund - the first male member of the band. At last, Winter Enclosure was released on May 9th, 2005. Two videos were recorded: Hunting Eye, which was shot at composer Edvard Grieg's home Troldhaugen, and a second version of Lifelines of Depths. The latter was A-listed on the English TV channel Scuzz, and also played at VIVA, NBC Giga, NRK2 among others. Both videos were made by director Asle Birkeland, who also has worked with Enslaved and Audrey Horne. The album being rewarded with great reviews and sales numbers increasing beyond expectations, Octavia now had to start the promotional touring. Octavia's first gig outside of Norway was at the GoNorth music Convention in Aberdeen in May. The gig was followed by the UK "Winter Enclosure Tour" in June 2005. In September Octavia returned to the UK as tour support to metal legends Paradise Lost, followed by a number of own gigs and an appearance at In The City Music Convention in Manchester. In December, Octavia was granted success as support act on Cradle of Filth's UK tour together with legendary Cathedral. A few months into the new year 2006, it turned out that Octavia was once again short of a drummer, and the band decided to dedicate some time and effort into finding the right person for the band. On June 6th 2006, at a split concert with Vulture Industries and Syrach, Octavia introduced their fourth drummer Ivar Alver. Ivar also plays in Trine's side project Hunting League. Preparing the recordings of a new record, Octavia went to Tone's home in Sandefjord in October 2006 to do a pre-production in Morpheus's (Limbonic Art, Dimension F3H) studio MO. Shortly after they started recording their second album. Like with Winter Enclosure, Octavia used producers Herbrand Larsen and Arve Isdal. Also Bjørnar Nilsen, singer of Vulture Industries and producer of several Bergen bands (Helheim, Vulture Industries and Bourbon Flame), assisted during the recording process. Also Morfeus took part in recording the synth and one of the songs on the album. In addition, Herbrand Larsen collaborated with producer Geir Luedy on the mixing this time. The band hit the road again and supported Amon Amarth and Finntroll in UK and Ireland April 2007. Launch party 16th of May for their new album of course took take place in their home town Bergen at Garage. Then they were heading for Stavanger, and thereafter entered UK again for more shows, among others supporting legendary Fields of the Nephilim. 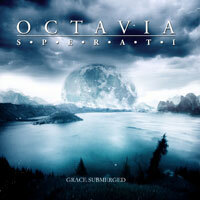 The album Grace Submerged was released in May 2007.